Peugeot’s new 3008 has impressed from the off, having already been crowned Car of the Year 2017 by a judging panel comprising some 58 motoring journalists across Europe. The new Peugeot 3008 has enthralled us on a number of fronts. Firstly, you only need to take a quick glance to appreciate this SUV’s distinctive and appealing looks. Everywhere I went in our GT spec 3008 we were met with admiring onlookers. 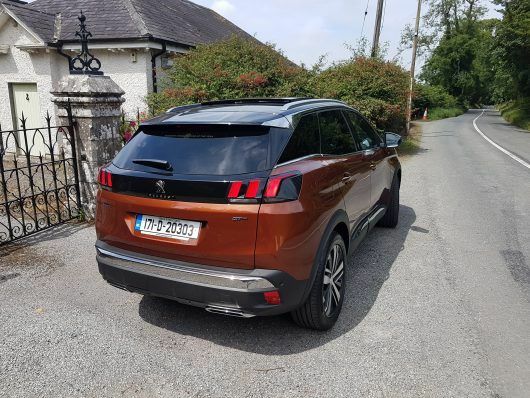 The 3008 is available across five trim levels, Access, Active, Allure, GT Line and GT, with prices commencing from €25,995 for the 1.2-litre PureTech petrol variant. The diesel range commences at €26,515 for the 1.6-litre BlueHDi 100 model. Our range-topping 3008 GT is powered by a 2.0-litre BlueHDi turbo diesel engine that produces 180hp and is mated to a six-speed automatic transmission. This variant is equipped with Peugeot’s advanced grip control as standard, along with hill assist descent control. The advanced grip control is a complex multi-mode traction control system that offers improved grip on loose surfaces with the car’s mud and snow tyres. It’s not a full-on all-wheel-drive system but useful nonetheless for driving on wet grass etc. The interior of the 3008 is for me its strongest asset, all occupants are seated in comfort with an abundance of space surrounding them. This new 3008 features Peugeot’s new generation iCockpit, this replaces the traditional dial-based driver’s instrument cluster with an ultra-modern configurable 12.3-inch head-up digital instrument panel. The main controls for the car’s heating and entertainment systems are accessed via an 8-inch touchscreen in the centre of the dashboard. Below this are beautifully crafted push buttons for quick access to the main functions. 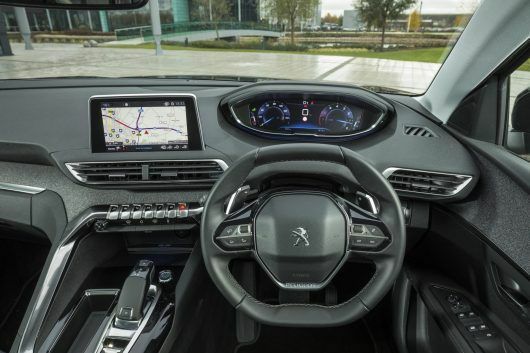 The level of specification on the entry-level model is significant, this includes the 12.3” instrument panel, 8” touchscreen, a multifunction steering wheel, Bluetooth and USB connectivity, cruise control with speed limiter and ESP. Our range-topping GT model has an extensive list of additional equipment, just some of the many highlights includes, smartphone charging plate, active blind spot detection, electric heated door mirrors, dual zone climate control and Nappa Mistral leather upholstery. The exterior is complemented with GT emblems, chrome door mirror shells, gloss black detailing and wheel arch extensions, our test car also benefitted from stylish 19-inch alloy wheels. A bonus in our car is the optional e-KICK scooter, developed by Micro and Peugeot, it’s the first electrically assisted scooter with motion control technology. It has a maximum speed of 25km/h with a range of 10 to 15km, the only downside is it costs €1,375. 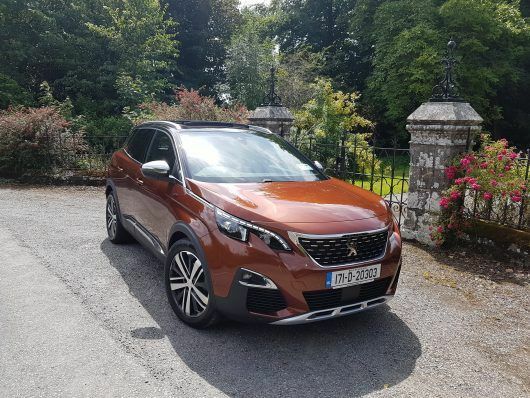 This Peugeot 3008 truly excels as a family car and notably offers a premium feel throughout.